Several readers wrote in to ask about recent rumors they had heard about the H.W. Rubloff building, better known as the Majestic Men's Store building. There's scuttlebutt going around that due to budget constraints the building, which stood at 4701 North Broadway (corner of Leland), will not be rebuilt, as was promised when it was dismantled in 2014 to make way for Wilson L construction. We are happy to report that those rumors are baseless, according to the CTA. The terra cotta facade of the building will be back, better than ever after a cleaning and restoration. It will surround support pillars for the new L.
"During the preconstruction phase of the Wilson project (October 2014 – Spring 2015), crews deconstructed the Majestic Men’s Wear building. 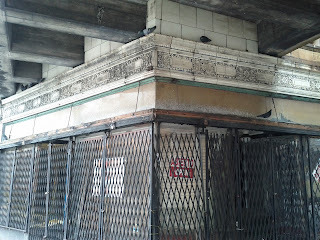 The terra cotta façade of the Majestic store will be restored in a future phase when the project nears completion. 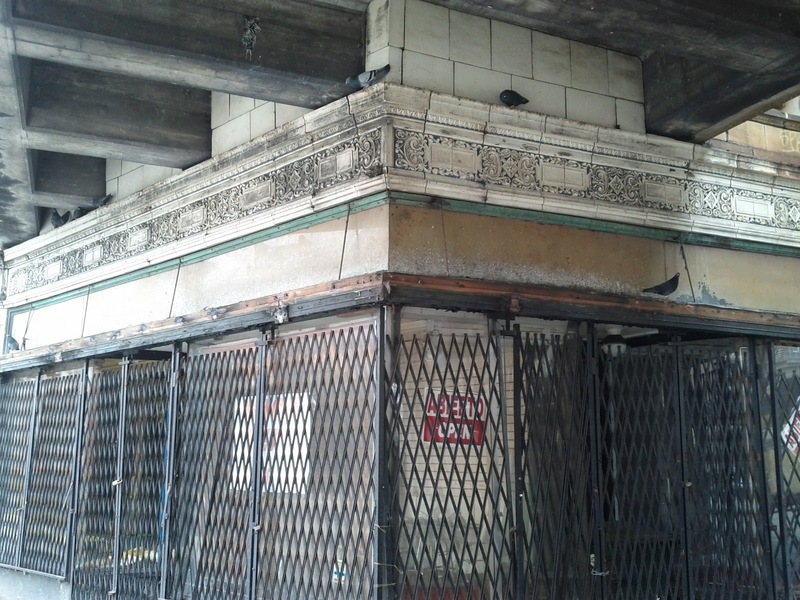 The eventual restoration of the façade has been and will continue to be part of the historic Wilson Station Reconstruction Project. For more info on the project you can check out our website here: http://www.transitchicago.com/wilson/"
A local "artist" with a grudge against the Alderman started that rumor during one of his hourly un medicated tirade lapses on Everyblock. So glad that he is once again proven to be wrong.